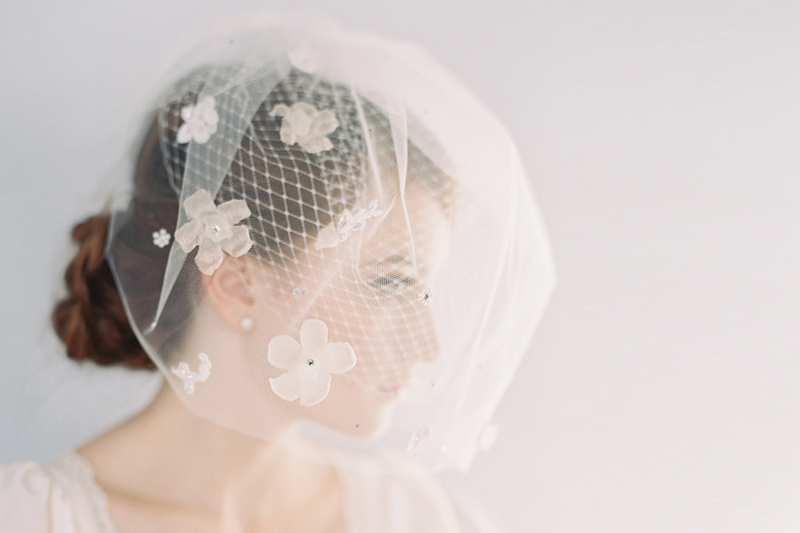 Learn the lingo of wedding veil styles! 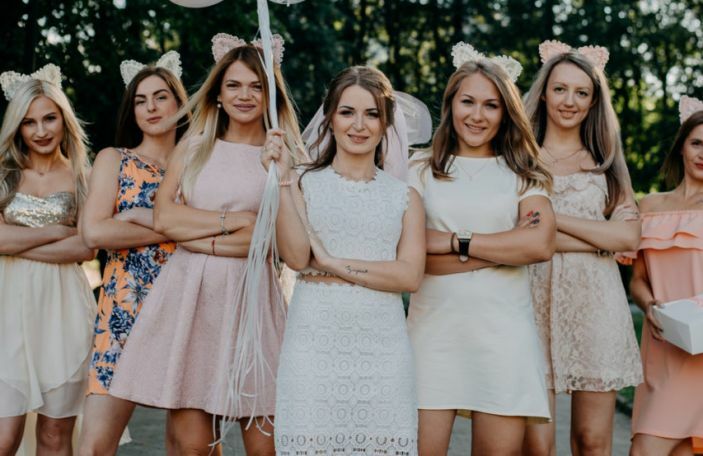 You'd be forgiven for assuming there were two types of veil - short and long, but it's a little more complicated than that for the uninitiated. 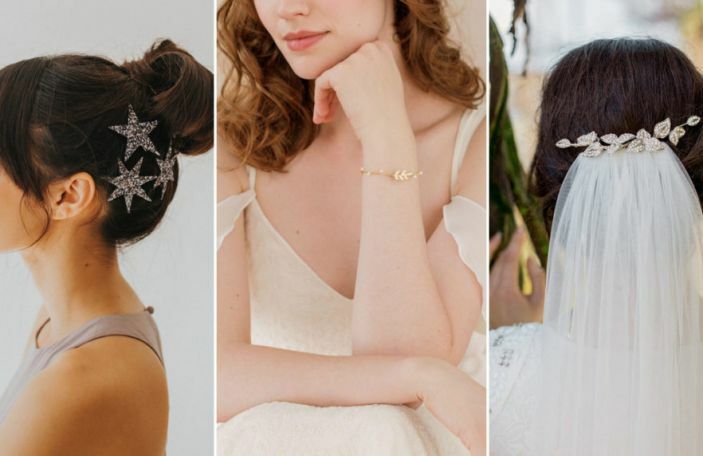 While this can make choosing a veil a little confusing, the upside is that if you're planning on wearing one, you have plenty of flexibility when it comes to choosing a style. 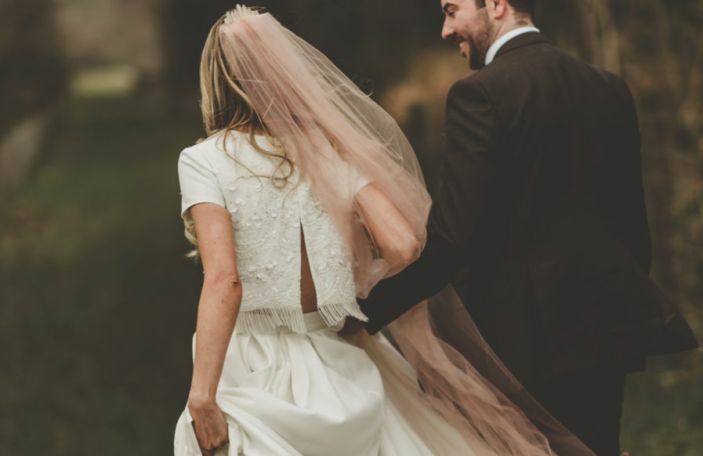 Here, we've made wedding veil shopping a breeze, no matter how traditional, modern, or anything else you are by outlining the 11 main types of veil you can choose from. No judgements here if you decide you'll simply have to try one of each on before you decide - that part's up to you! The shortest of all types, a birdcage is usually attached to an Alice band or hairclip. Styles vary, but generally some tulle or netting covers one or both eyes. 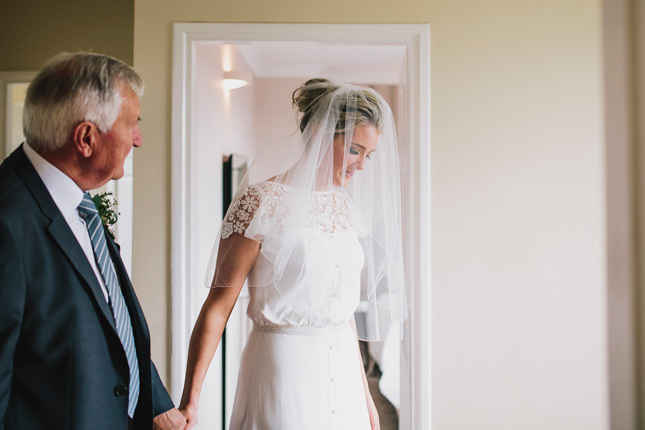 A blusher veil is traditionally worn over the face, falling to lip or chin level, and is pushed back from the face after the ceremony. A fly-away style falls to the shoulder and usually has multiple layers of tulle at different lengths, creating a tiered effect. At their peak in the Sixties, they’re considered to be quite retro now. Slightly longer than the fly-away, is the shoulder-length veil. Again, reminiscent of the Sixties, it’s a fun option often worn with shorter, informal dress styles. 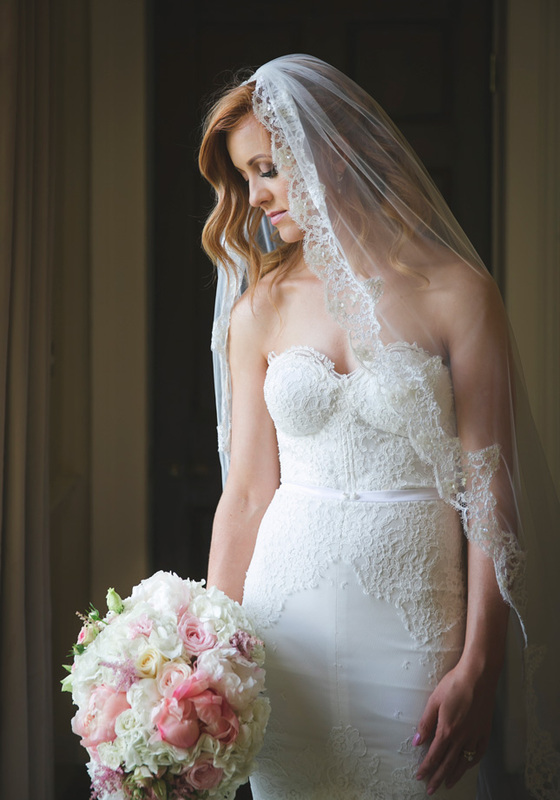 An elbow-length veil is exactly as it sounds, and works beautifully to gently cover your shoulders and frame the face. The fingertip falls to arms’ length and is a great option for brides who want the drama of a longer veil and the freedom to move easily without any restriction. Also known as a Waltz, the ballet-length falls somewhere between your fingertips and the floor. 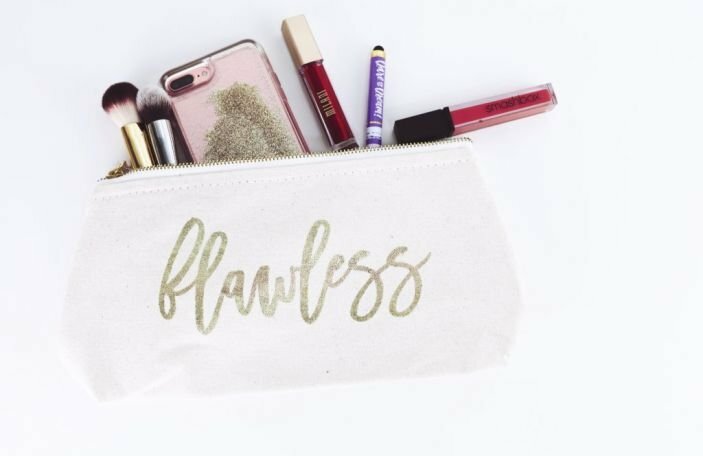 It’s ideal for those windswept veil shots. 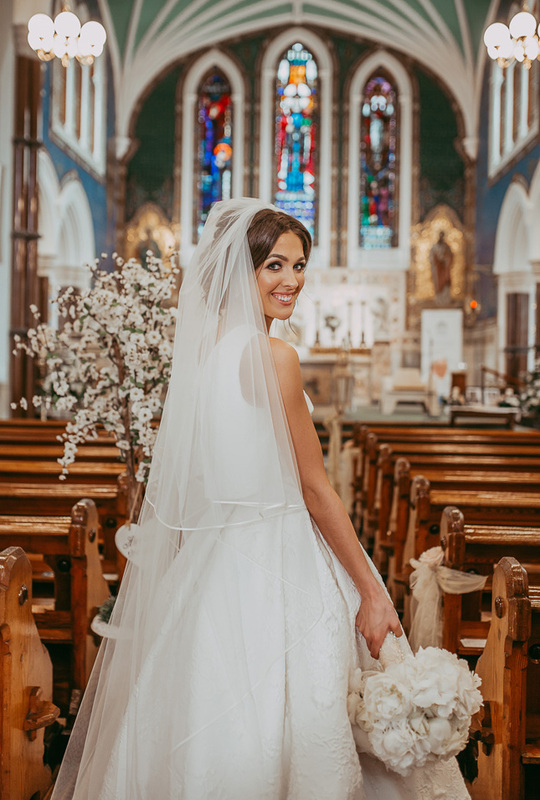 A chapel-length is the same length as your dress, or a little longer and generally made from simple, sheer tulle so the detail on the back of your dress is still visible. A cathedral veil’s length extends beyond the length of your dress, for regal drama. It’s the most formal of lengths but comes in many styles to suit lots of different dresses. This Spanish-inspired style is made from lace and often features a detailed, scalloped edge, worn around the face. Named after the Shakespearean heroine, a Juliet Cap is a small open-work cap worn on top of the head with a long veil attached to the back. 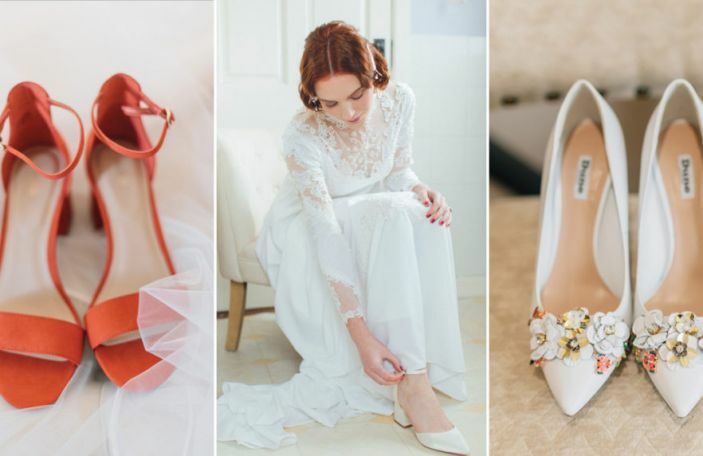 You might also like: Wedding dress shopping timeline - everything you'll need!